I grow bacteria for a living. No, this was not my childhood ambition, just the job I fell into after I finished my Master’s of Biology. I help prepare for and instruct college microbiology laboratories. You might not think it, but science and writing have a lot in common; every disease, every microbe, every discovery has a story, a mystery with questions to ask and answers to be found (How does the microbe sneak past our defenses? How does our immune system fight back? How did scientists figure out everything we know?). When you can talk about and write about science as a story, you realize it’s tremendously interesting, even the seemingly pointless, boring bits. When I’m not being a nerd or a writer, I enjoy ballroom dancing (Thanks to Cinderella and Beauty and the Beast for inspiring that hobby. I have no prince or even a regular dance partner, but it is still fun), walking my fluffy, white, 85-pound Great Pyrenees (she’s affectionately called a bear, pony, wolf, or yeti by those who see us), and photography (I always said I’d only take nature photos, so naturally I have now taken two engagement photos shoots, a maternity photo shoot, and several graduation and professional head shot photo shoots). I hated writing growing up. It was also considered the family curse because so many in my family had “wasted” time, energy, and money writing and trying to get published. I thought I had escaped the curse, so it came as a bit of a shock to me when, at twenty-six, I fell in love with writing after playing around at creating a children’s story with a friend who wanted to be an author. Jane Austen and Charles Dickens without a doubt. I love the classic British novels for their beautiful language, the elegant manners and high morals of the characters, and for the entertaining characters themselves. Charles Dickens has some particularly interesting characters, and I’ll never forget the opening scene to Our Mutual Friends (the BBC movie)—a beautiful, poor redhead is rowing on the Thames at night with her father, and she is uncomfortable. We soon find out that’s because they’re towing a body. Macabre, yes, but it hooks the reader right off. We sympathize with girl, are intrigued by these strange river-dwelling people, and want to know who the dead man is. Oh yes, Charlotte Bronte for Jane Eyre. I can’t forget Jane and Mr. Rochester. Or J. R. R. Tolkien or C. S. Lewis. I sometimes read a bit from The Hobbit or Pride and Prejudice before I start writing to help me get in that old fashioned voice I love to read and to write in. Despite what you may think from this list, I do read some modern authors. Patrick Carr, Karen Witemeyer, Melanie Dickerson, and Anne Elisabeth Stengl are my favorite modern authors, and since what I read influences what I write, they’ve have some impact, even if it’s only me naming a character or place after something in one of their novels. Such a tough question! I’ve had the wonderful experience of seeing a bit of Scotland and northern England, so I’ll have to say the French countryside. While wandering around in a thrift store a while back, I found a book on France with stunning photographs of villages, castles, and mountains. I had no idea it was so magnificent. I would love to see those places—not only for their beauty but also because Beauty and the Beauty is a classic French tale (La Belle et la Bête) and The Beast’s Enchantress is set in a land similar to what I would see there. Hot tea, cheese, and Cheerios. Another tough one. I’d have to go with the reminder “There’s more where that came from.” It’s a different way of giving William Faulkner’s advice of “In writing, you must kill your darlings.” It helps me remember that I have the necessary creativity and skill to cut, to rewrite, and to make scenes more spectacular. I don’t have to cling to pet words or stale scenes, or even weak plots; I can rewrite better. 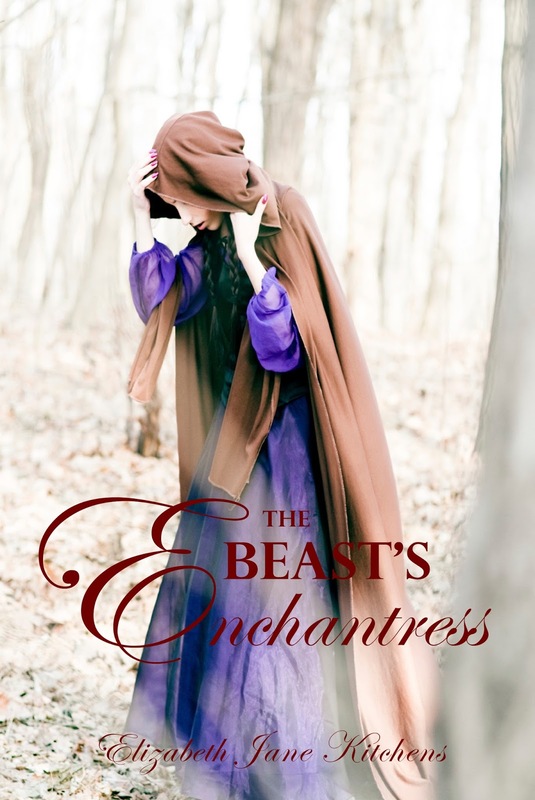 What inspired the idea for your novel, The Beast’s Enchantress? The prologue to Disney’s animated classic Beauty and the Beast (who else is excited about the upcoming live action version?). I wanted to know more about this woman who shows up in disguise and then disappears, never to be reappear in the story. Why did she show up there? Was she some do-gooder looking for someone to enchant? What if she was under a curse herself? What factors played into your decision to publish through Createspace? Which aspects of indie publishing were the most challenging and most rewarding? To be honest, it was because I couldn’t find an agent and thus go the traditional route. I’d also read a lot about indie publishing and wanted to give it a try, so I decided to self-pub instead of waiting and trying again for an agent. The most challenging part? Doing everything myself—formatting the manuscript, designing the cover, hiring an editor, proof reading, uploading to distributors, marketing—was a challenge for sure, but not having the sense of validity that a traditional publisher gives was the hardest part. I was timid about putting my book out there. I’ve actually made a few changes to the manuscript since I originally put it up, and now I feel confident in it. Even though it’s indie pubbed on a low budget, it is a quality book. The overall experience was a great learning opportunity, and that, as well as having my book out where people can enjoy it, are the rewards of self-publishing. The cover for The Beast’s Enchantress is lovely, and you designed it yourself! What went into that process? Thank you! I was fortunate enough to find a good quality stock photo for the cover on istockphoto.com. The process was long. I spent a lot of time searching various stock photo websites for images related to my book. Once I found the right one, I bought a standard license for it (about $40). Later, I stumbled on some sites through Pinterest with amazing photos of women in beautiful period gowns, but those photos were $1000 and up for a limited, short-term license! CreateSpace gives a formula for cover size based on the final trim size, margins, and number of pages for the print book. You create the cover flat—the back, spine, and front as one image with three sections. I tried to do my own in GIMP (a free image editing software), but couldn’t manage separating the image into the three areas. So I did the front and back images separately and used a template on CreateSpace to add in the spine. When I created the front and back cover pages, I told GIMP the image size I needed, added the stock photo, cropped it, and then added text. I fiddled with the text until I found the right combination of fonts, size, and position. Needless to say, I also spent a good bit of time studying covers that I liked for inspiration. Can you give us any insights into your current work-in-progress and whether you have any other books planned for this series? Originally, The Beast’s Enchantress was to be a single book; then I developed a crush on a minor bad guy in the book and had to write a story to redeem him. Then, I met more characters in his story that wanted a story of their own, and then I figured, why not write one for each of Alexandria’s sisters while I’m at it? So, yes. There are many more coming. Are there other fairy tales you’d like to write about in the future? I write in a fairy tale world—where fairy tales have happened or are happening—so I’d like to write around several more fairy tales (Cinderella and The Frog Prince, in particular). The stories wouldn’t focus on the fairy tale characters but would include them, or maybe just the prince or the enchantress to give a different view of the story. However, I would like to write a Beauty and the Beast story based on Beast and Belle, and certain inhabitants of Beast’s castle, from The Beast’s Enchantress. Thank you so much for visiting, Elizabeth! The Beast's Enchantress is on my to-read list, I'm looking forward to it! And I can tell you from critiquing one of Elizabeth's works-in-progress that she is a fantastic writer and great storyteller. 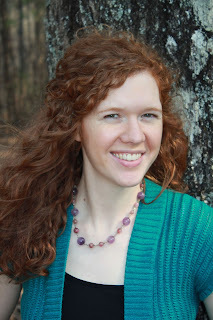 You can learn more about her at her website www.elizabethjanekitchens.com. You can also connect with Elizabeth on Facebook, Pinterest, and Amazon. Thanks for visiting and sharing your work, Elizabeth! This is a fun perspective on "Beauty and the Beast!" I'm happy to be here, Erin! I have enjoyed poking around your site and have written down several book titles from the reviews to read. What a wonderful beginning! You are both the scientist and writer. I was once the actress now writer. I never realized how close acting can help writing! Congratulations and best of luck! I love Beauty and the Beast. (Belle is my favorite Disney princess.) I am very excited for the new movie coming out. Great post! Thanks! I am excited about it too. Elizabeth, your book sounds fantastic! I'm going to give it a read. You rocked this interview, Elizabeth!!! Enjoyed getting to know more about you. Your book is still on my to-read list and am so looking forward to delving in. May God continue to bless your writing. Thank you, Shauna! May God bless yours as well! Great interview Elizabeth. I am so proud of you. Your book sounds so neat, Elizabeth! I’m excited to read it. I love the prologue for Disney’s Beauty and the Beast too, and I can’t wait for the live action movie!